The health benefits of Tai Chi are wide-ranging and mainly related to the enhancement of one’s physical and mental health. Tai Chi is an ancient system that originated in China, having its roots in Chinese martial arts. This form of exercise is part of Chinese traditional medicine and mixes graceful, gentle movements with deep breathing and meditation. The health benefits of Tai Chi are wide-ranging and mainly related to the enhancement of one’s physical and mental health. At the heart of Tai Chi is the concept of qi that is stated to be a form of ‘life energy’ that flows through the body. 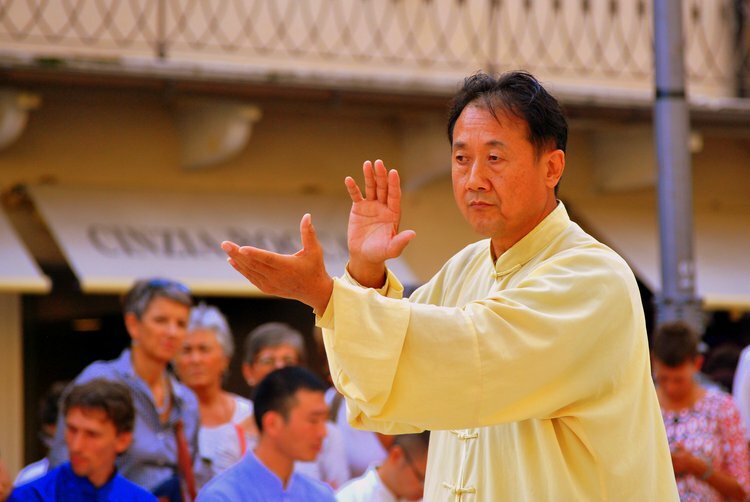 The philosophical and spiritual proponents of Tai Chi convey a message of balance between the body, mind, and spirit, which is also in harmony with nature. This balance is attained when the energy flow within the body is unobstructed and free. It is believed that such a body state helps in improving one’s physical and emotional well-being, stress reduction, increased flexibility, better breathing, enhanced blood circulation, and body immunity to fight diseases and illnesses. The slow and continuous movements of Tai Chi help with one’s range of motion and provides improved physical fitness and better posture. Tai Chi can also increase flexibility, balance, and help avoid or even prevent falls, per the University of Liverpool. The Penn State Milton S. Hershey Medical Center informs that certain bone and joint conditions, such as gout, arthritis (both rheumatoid arthritis and osteoarthritis), and chronic pain due to fibromyalgia, responds very well to Tai Chi. It also helps increase one’s muscle tone and strength. Practicing Tai Chi is good for the heart and vascular system. It helps keep blood pressure under control. Reduced stress and attainment of an inner peace through Tai Chi can promote restfulness and good sleep. This can help one be mentally alert during the day. Tai Chi is known to increase blood circulation and thus, helps remove blood toxins and improve body immunity. The deep breathing involved in Tai Chi is good for the respiratory and digestive system. As per the University of Maryland Medical Center, Tai Chi is known to help one overcome lung ailments, like COPD, asthma, and bronchitis, and gastrointestinal disorders like indigestion and constipation. Individuals of any age (children and elderly adults) may practice Tai Chi and find it beneficial in improving their quality of life. It is particularly advantageous for elderly adults and those with limited physical mobility since it is safe, gentle, and comprises of slow, deliberate movements. There are many Tai Chi styles, and only a trained Tai Chi expert may be able to advise on the kind of style that might suit each individual’s specific requirements or health conditions. Although, there is hardly any side effects or injuries possible from Tai Chi, if practiced correctly and under the guidance of professionals. However, it would be good to exercise caution if individuals are pregnant or have certain specific health conditions. Jin, P. (1992). Efficacy of Tai Chi, brisk walking, meditation, and reading in reducing mental and emotional stress. Journal of Psychosomatic Research, 36, 361-369. Schaller, K. J. (1996). Tai Chi Chih: an exercise option for older adults. Journal of Gerontological Nursing, 22, 12-16. Kuramoto AM. Therapeutic benefits of Tai Chi exercise: research review.WMJ.2006;105(7):42-6. Lam P. Tai chi. Diabetes Self Manag. 2004;21(4):7-10, 12, 14. Wang, C., Collet, J. P., & Lau, J. (2004). The effect of Tai Chi on health outcomes in patients with chronic conditions: a systematic review. Archives of internal medicine, 164(5), 493-501. Li, J. X., Hong, Y., & Chan, K. M. (2001). Tai chi: physiological characteristics and beneficial effects on health. British Journal of Sports Medicine, 35(3), 148-156. Jahnke, R., Larkey, L., Rogers, C., Etnier, J., & Lin, F. (2010). A comprehensive review of health benefits of qigong and tai chi. American Journal of Health Promotion, 24(6), e1-e25. Wang, Y. T., Taylor, L., Pearl, M., & Chang, L. S. (2004). Effects of Tai Chi exercise on physical and mental health of college students. The American journal of Chinese medicine, 32(03), 453-459. Mustian, K. M., Katula, J. A., Gill, D. L., Roscoe, J. A., Lang, D., & Murphy, K. (2004). Tai Chi Chuan, health-related quality of life and self-esteem: a randomized trial with breast cancer survivors. Supportive Care in Cancer,12(12), 871-876. Thornton, E. W., Sykes, K. S., & Tang, W. K. (2004). Health benefits of Tai Chi exercise: improved balance and blood pressure in middle-aged women.Health Promotion International, 19(1), 33-38. Irwin, M. R., Pike, J. L., Cole, J. C., & Oxman, M. N. (2003). Effects of a behavioral intervention, Tai Chi Chih, on varicella-zoster virus specific immunity and health functioning in older adults. Psychosomatic Medicine,65(5), 824-830.